Go Suga has lent his illustration skills to a beautiful new children’s book celebrating the diversity of families. Written by author Tenielle Stoltenkamp and illustrated by Go – the book was created to reflect the different shapes and forms of families in our community. 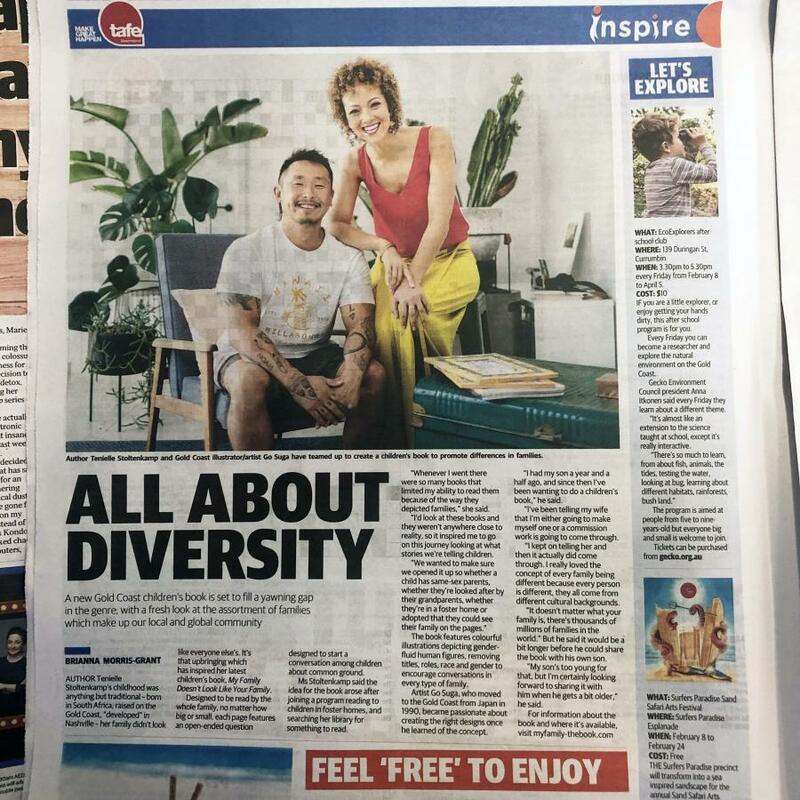 Article featured in the Gold Coast Bulletin, 5th February 2019.